Good morning and thanks for taking a few minutes of your weekend to visit my blog and say hello. Today I am over at Can You Case It? 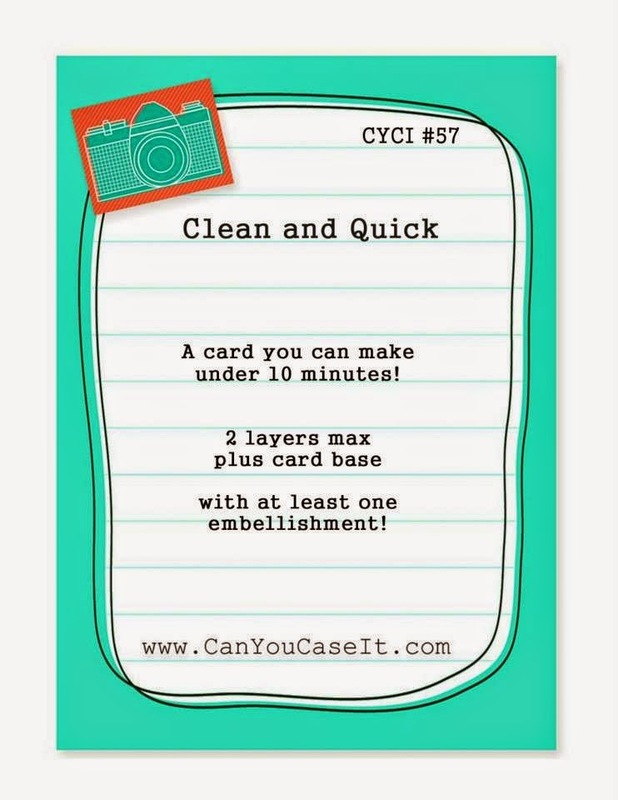 where its time to share and get creative with our "Clean and Quick" challenge. So grab that cup of coffee, check out what inspired our designers and go get creative and have fun with our challenge! I will have to admit that there is one stamp set that really stands out to me. Its a stamp set that no matter how many times I see something created with it, I just fall in love with it over and over. 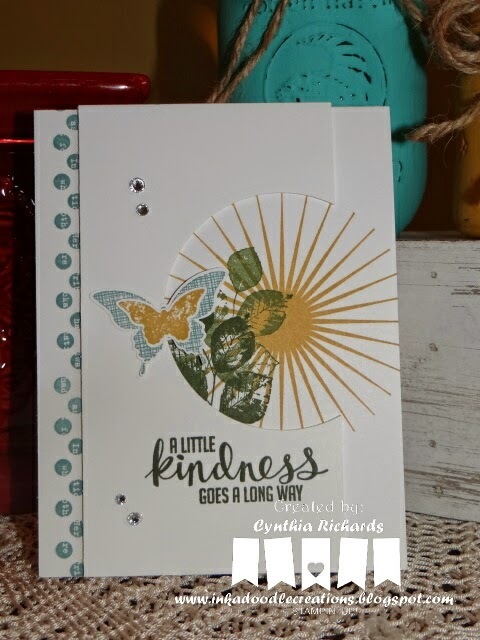 Kinda Eclectic is such a wonderful stand set for layering and simple stamping. It can be dressed up or dressed down for an occasion card you need. If I had to suggest one stamp set to anyone, it would be this set! So because this stamp set excites me so much, I think I will offer a special promotion that will start today thru this week and end of Saturday, February 21, 2015 (10pm). when you place a min. order of $25 with "Kinda Eclectic" stamp set included, I will give to you for FREE a pack of basic rhinestones!!! when you bump it up to a min. $50 order (again with Kinda Eclectic stamp set) not only will you receive the pack of rhinestones, but you will also be able to pick our a special Sale-a-Bration item for FREE!!! Cynthia, that's it, I gotta get this set out again. Great card! I love your creative layering, it makes your quick card look so impressive! Great stamp set!